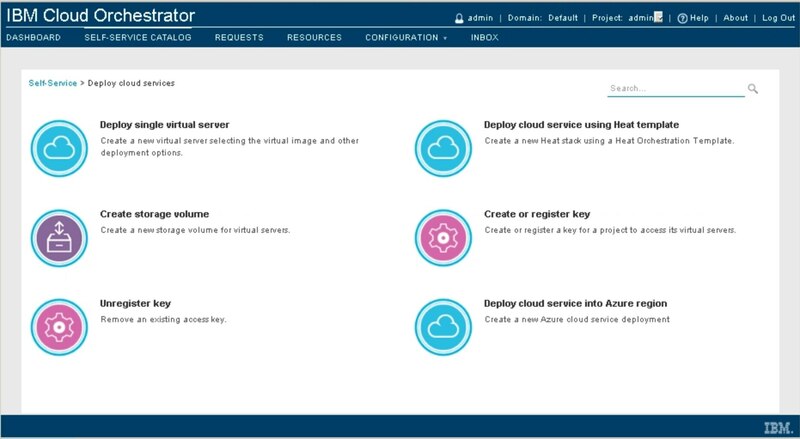 IBM® Cloud Orchestrator is a cloud management platform that automates provisioning of cloud services using policy-based tools. It enables you to configure, provision, deploy development environments, integrate service management—and add management, monitoring, back-up and security—in minutes. And do it again—in minutes—whenever you need. All from a single, self-service interface. Improve service delivery times by up to 90 percent and reduce provisioning times from weeks to minutes. Minimize the number of disconnected management tools in use, implement common processes and fully automate error-prone manual workloads. Rapidly innovate by using public cloud services while ensuring business policies are imposed consistently on all IT services.